What Political and Economic Future do we have if we can't even agree Brexit? Well, the “meaningful” Brexit vote happened but didn’t seem to mean anything. The worst Government defeat in modern history by a margin of 230 votes and an unheard of stubborn clinging to power, despite a No Confidence vote. The previous worst was 95 years ago in 1924. On most occasions, resignations and lost elections followed. Momentous. 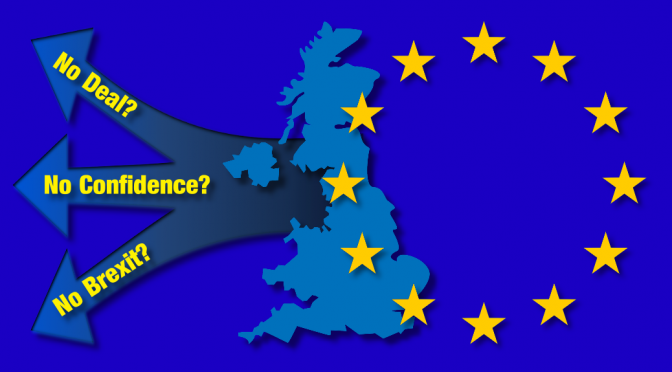 Since Parliament cannot agree and only 25% of the population (admittedly, 52% of the electorate that voted) wanted it and even they are split on Deal/NoDeal, now is the time to delay or rescind Article 50. Theresa May and Andrea Leadsom are stubbornly standing their ground. Plan B = Plan A till you’re blue in the face. They knew the Brexit vote would fail yet wasted 5 weeks delaying it. They have no “political empathy” said one journalist. 70 days from disaster and we haven’t a clue. 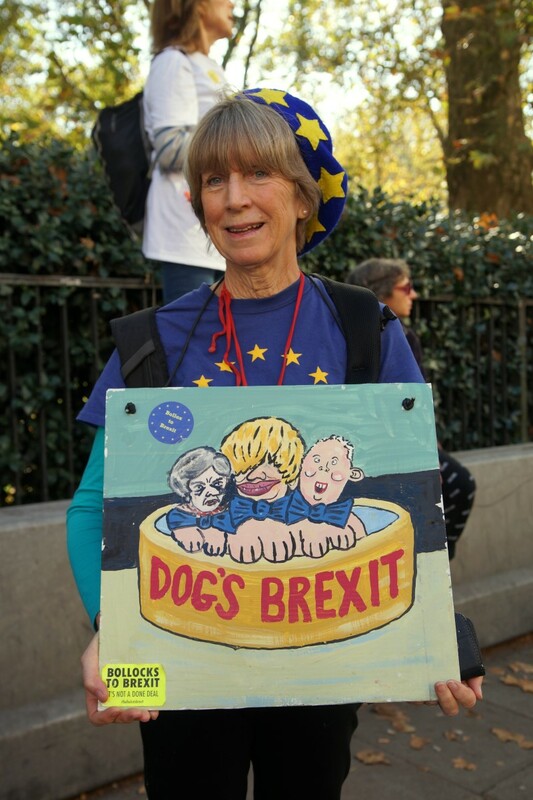 No deal and Remain are both political suicide for whoever makes that happen but history could record them later as a hero or a villain. It’s astonishing that after the largest 230 seat Government defeat people retire to party political lines and this current leadership (if it can be called that) is shored up to go on and on with flogging the same dead horse deal. It’s almost national unity Government time. 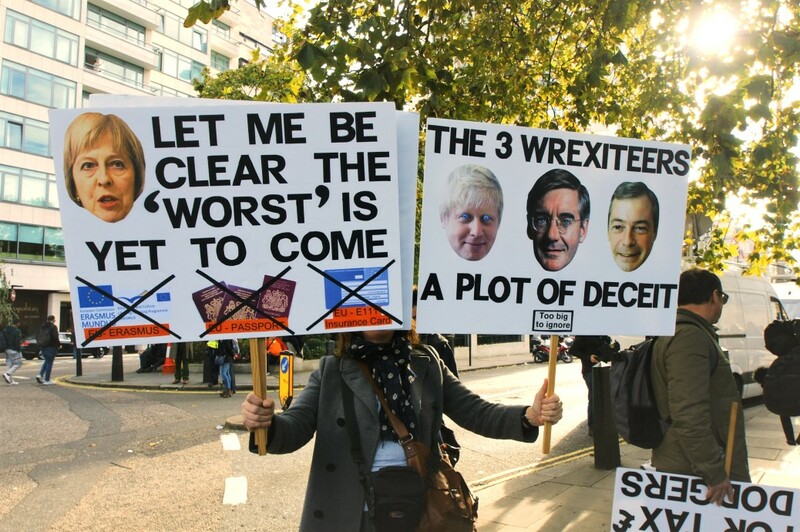 This Brexit political war must end. 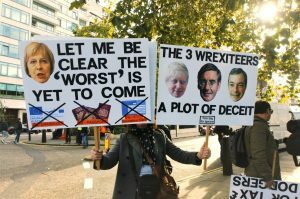 Though I’m personally in favour of Remain still and actively want Article 50 abandoned or extended and Brexit cancelled, Labour can’t defeat the political maths of Tory+DUP, and so we drag on till exit EU day on 29 March because nobody will fall on their political sword for the sake of the UK bigger picture. 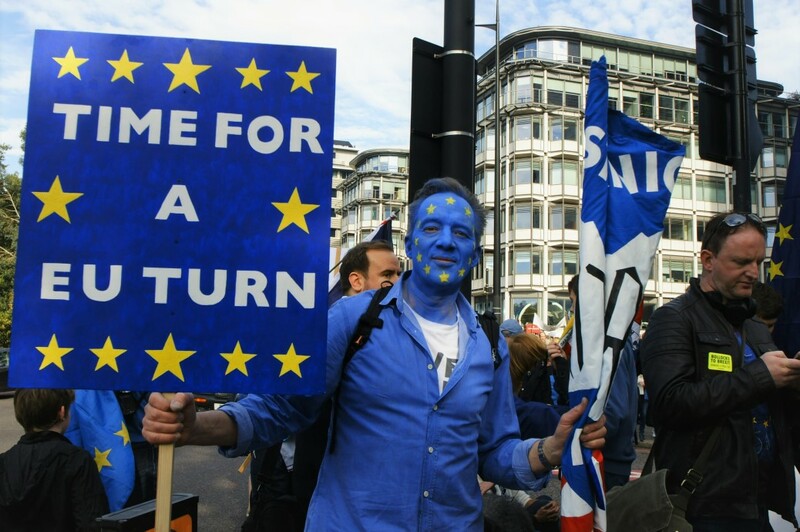 Brexit may have won the first People’s Vote aka EU Referendum but no actual exit strategy commands a majority in Parliament or the country. Somebody needs to stand up and be honest about this, commit political hari-kari, and say it can’t be done. 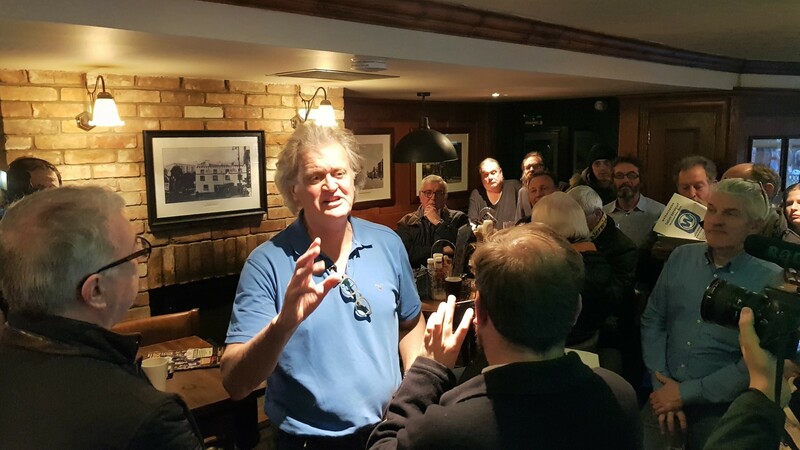 When the only businesses wheeled out to support the benefits of Brexit are Wetherspoon’s Tim Martin but the whole car industry opposes it, Japanese investors in Britain don’t support it, it is clear that Brexit is being organised like a piss up in a brewery. Sober up UK! We need to get past this Brexit hangover and get back to work, sorting out housing, homelessness, knife crime, Universal Credit, NHS and Care recruitment, police funding, trains, 5G, fibre to the premises for all. The cost of doing business within the EU is small change compared to Brexit’s waste of time & money. Multiple economic forecasts say we will be worse off because of Brexit with much slower growth. The IMF, OBR, UK Gov, BoE, NIESR, BCC, Capital Economics, EY and more. The Bank of England’s Quantitative Easing (QE), consumer credit rise, and low-interest rates are currently insulating us from the Brexit effect. We are in Balance of Payment trade deficit despite the crashed Pound (at airports we are virtually on a par with the Euro now!). We net export in services, not goods. This is the modern globalised world now, we are not a net industrial producer anymore, we don’t have the economies of scale or labour costs. Imagining that Brexit will make Britain productive again in traditional industries is like Donald Trump’s Make America Great Again. A recent report from Standard Chartered has Japan 9th, Germany 10th, and the UK outside of the top ten GDP nations by 2030. Only as a bloc will EU nations be able to trade on equal terms with India, Brazil, China etc. It’s the issue of hundreds of Japanese companies invested in the UK, in part to access the EU market. There are 190,000 direct and another 650,000 indirect jobs in the UK dependant upon car manufacturing for instance. We have a non-reproducing working population (replacement fertility rate of 1.8, required 2.1), we need sub £30k (the new immigration minimum) EU and international workers. We have labour shortages in the care sector, NHS etc. Who will pick fruit, wash dishes, wipe bums, change catheters, serve tables, hand wrap millions of pigs in blankets for Christmas? UK workers alone, or even at all? 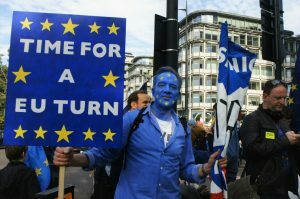 Brexit is bust, who will call it?